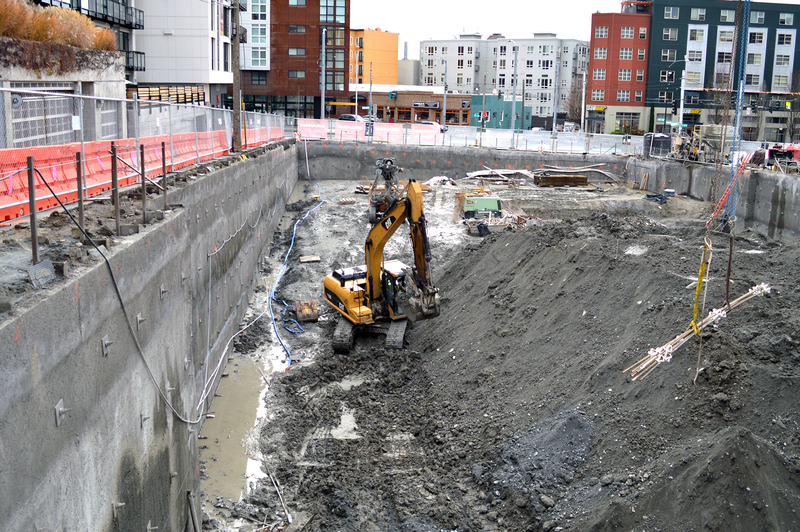 What could be the most efficient solution to slope stability and earth retention challenges on commercial developments if soil conditions allow? 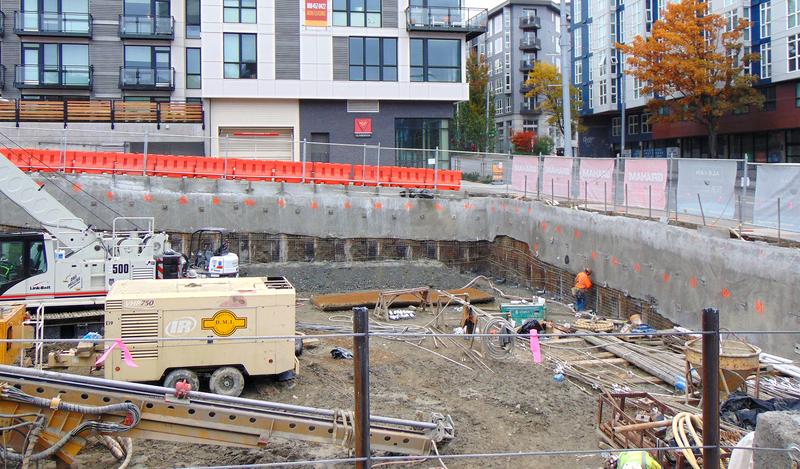 Soil nail and Shotcrete is THE solution to today's subsurface construction projects ranging from residential to large-scale commercial structures. DMI has several ACI certified nozzle-man. 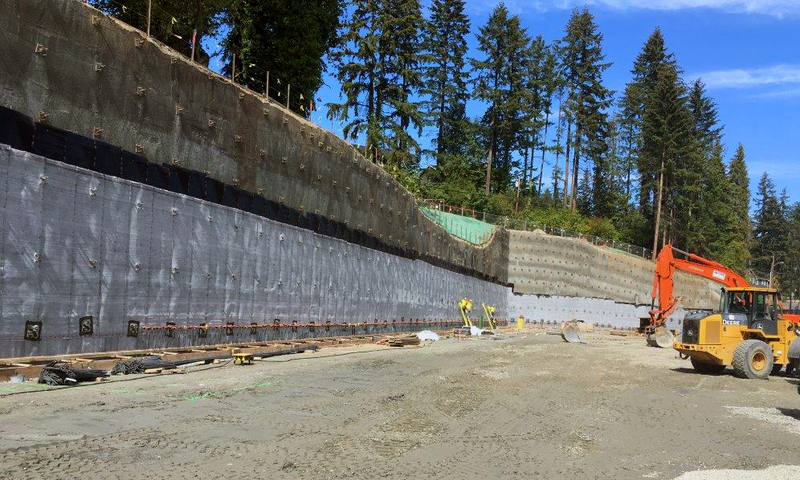 Experts agree that Shotcrete is the creative and cost-effective method that makes these projects an outstanding success. 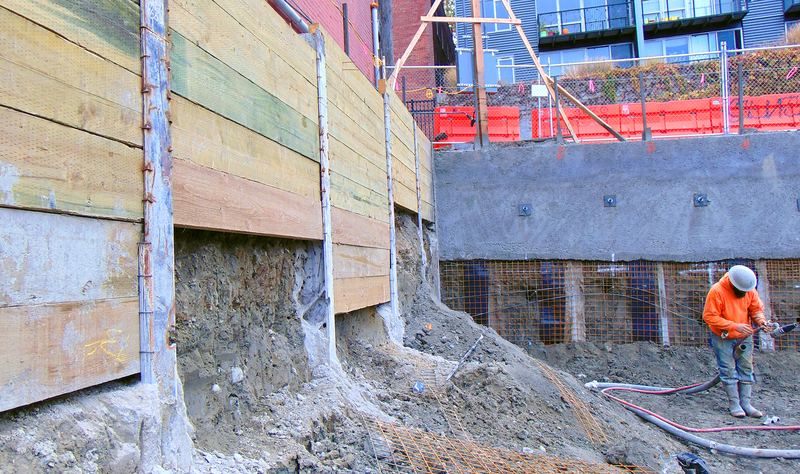 If you're looking to stabilize a retaining wall or existing fill slopes DMI Drilling Construction has 25 years of experience installing soil nail systems. 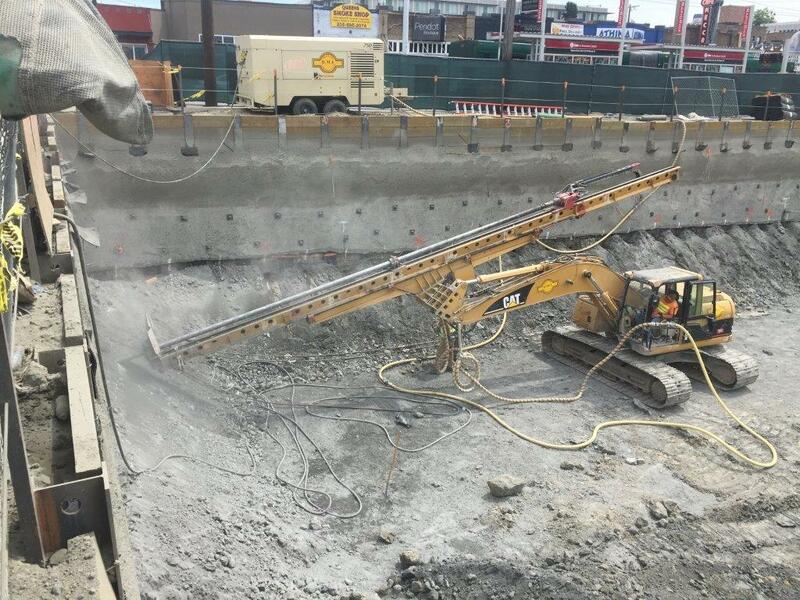 DMI Drillings experience and precision when it comes to Soil Nail and Shotcrete in the Greater Seattle area can't be beaten. 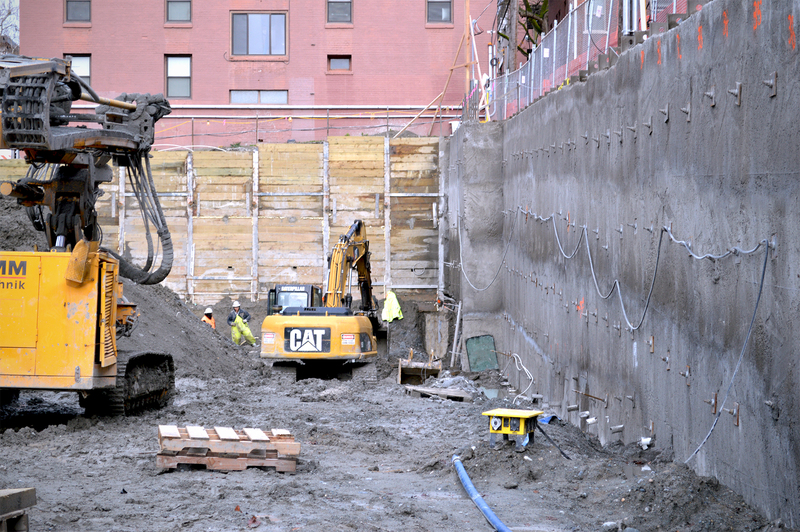 Soil nailing is an efficient construction technique that serves as a means of reinforcing soil to make it more stable. Essentially, soil nailing is used for excavation, retaining walls, slopes and more with the sole purpose increasing stability. This technique reinforces the soil with small diameter threaded bar which are generally known as nails. These nails are installed into pre-drilled holes and eventually grouted into place using a separate grout line. 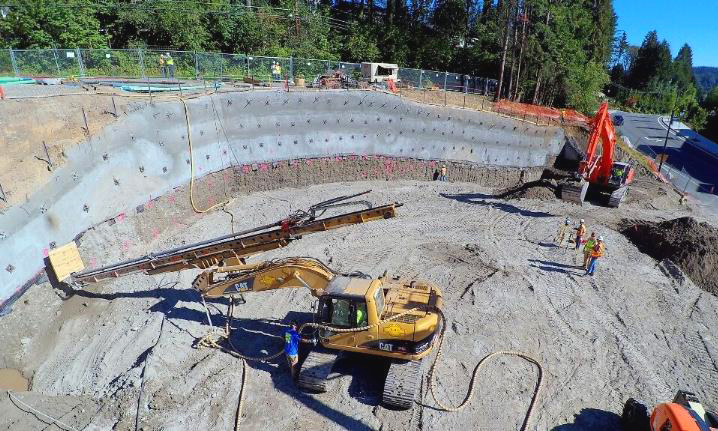 In the course of the excavation, the shotcrete is applied to the face, as to grout the reinforcing steel or nails, thus providing stability to the steep soil slope. 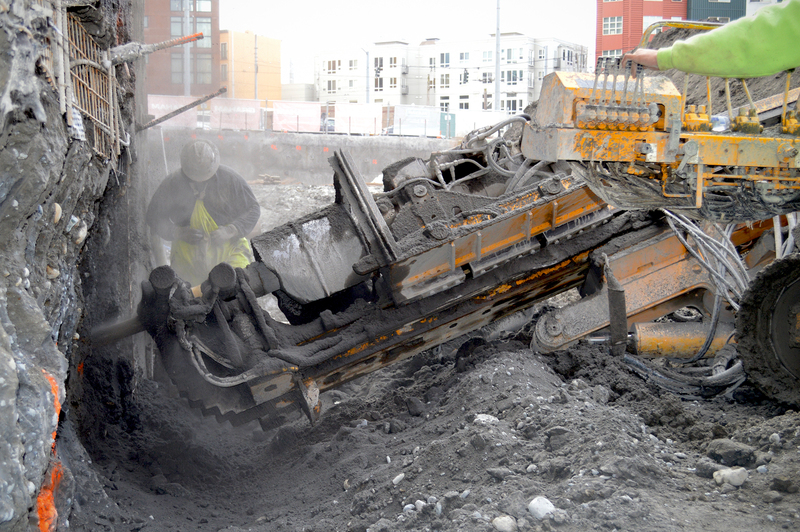 To learn more about Soil Nailing - click here. 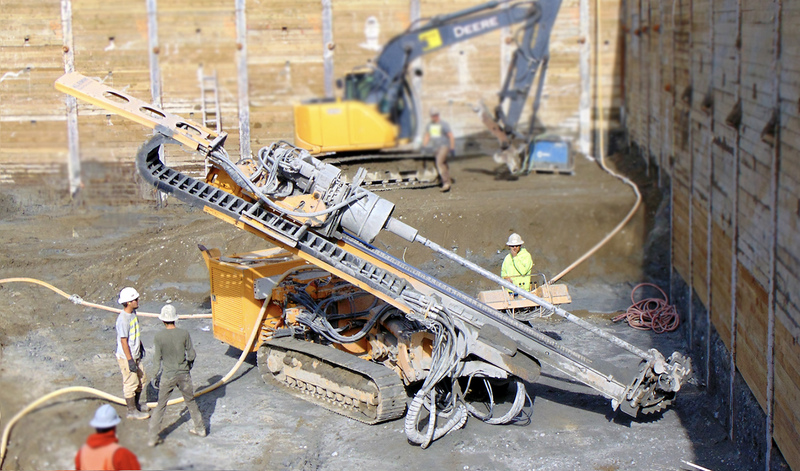 Shotcrete is not necessarily a material; it's actually a technique. It's a unique process in which concrete is pneumatically projected at high velocity onto the backup surface. 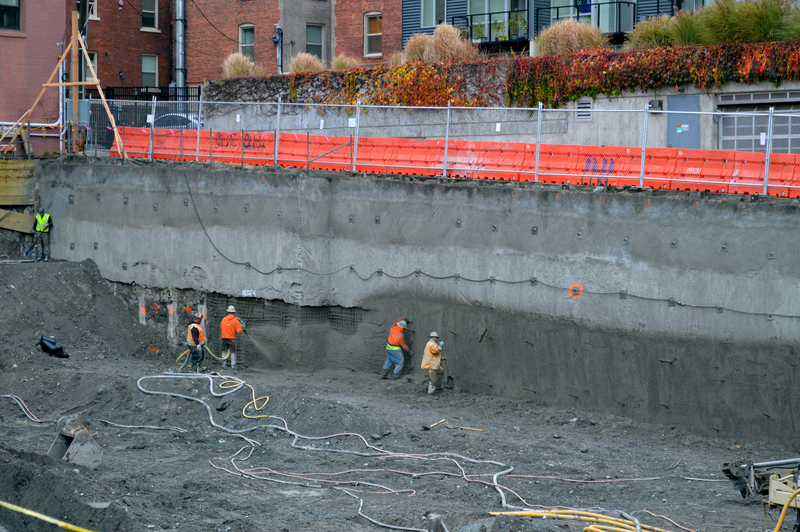 Using shotcrete is sure to produce excellent results regardless of whether shotcrete it's wet or dry. However, it must be done with technical precision to achieve perfection — durability, absorption, and strength. 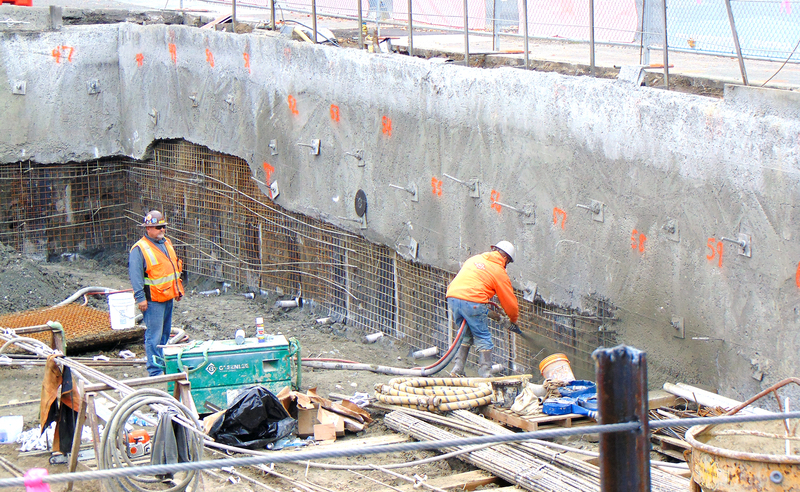 The great thing about shotcrete is that its application process results in excellent adhesion to most surfaces. 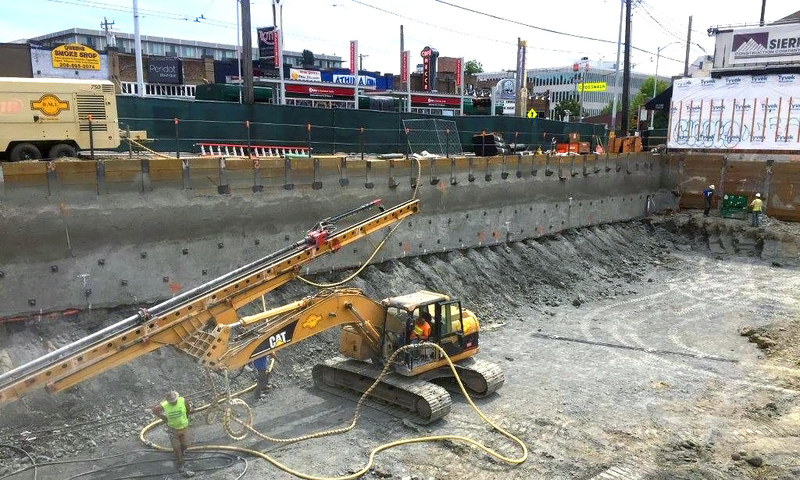 Shotcrete delivers rapid functionality even on a complex infrastructure. 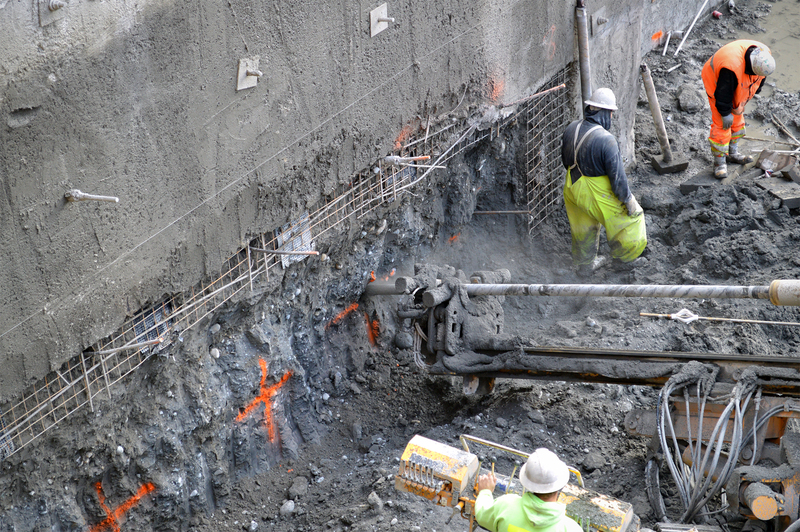 To learn more about Shotcrete - click here. • It can be applied on uneven surfaces, and everything can be done from a distance. 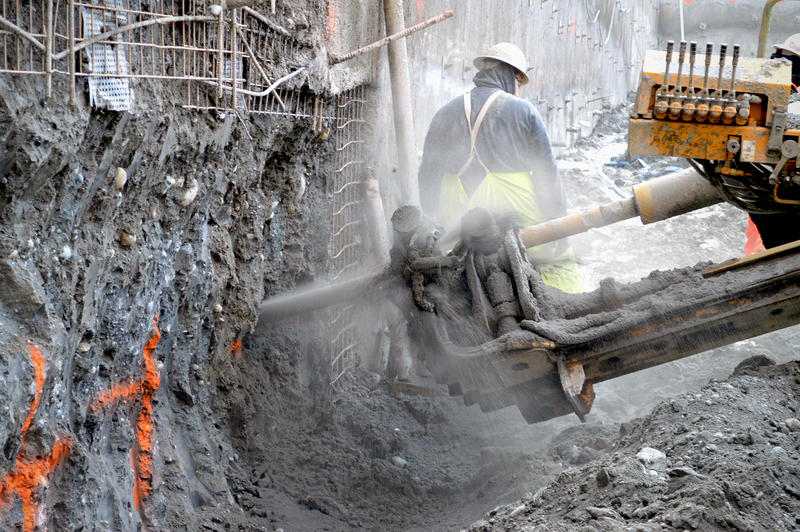 APPLICATION OF SHOTCRETE - WHERE TO USE IT? • Stabilizing slopes, tall vertical excavations in a permanent or temporary condition. • Dense, stable, ground conditions. 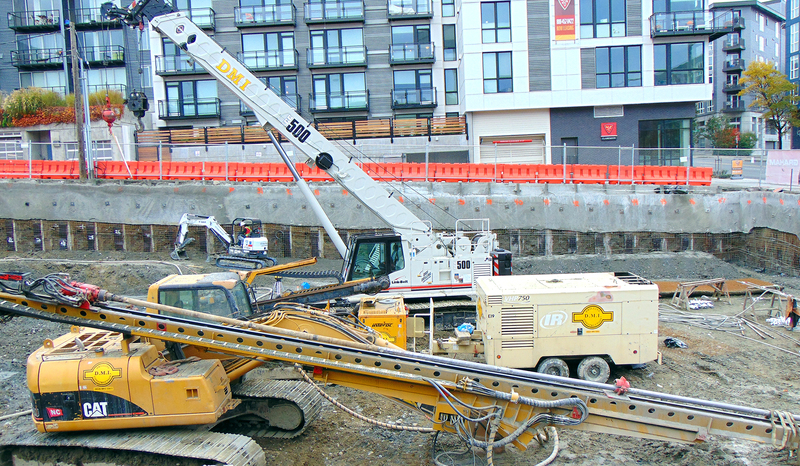 At DMI Drilling Construction, we boast up to 25 years experience of installing soil nail and shotcrete solutions on several different structures, both residential and commercial. 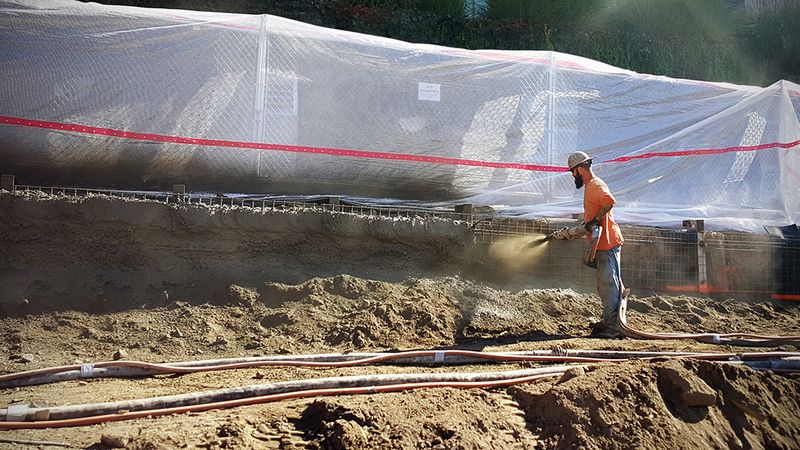 We use the soil nail in conjunction with shotcrete to achieve outstanding results that are sure to stand the test of time. 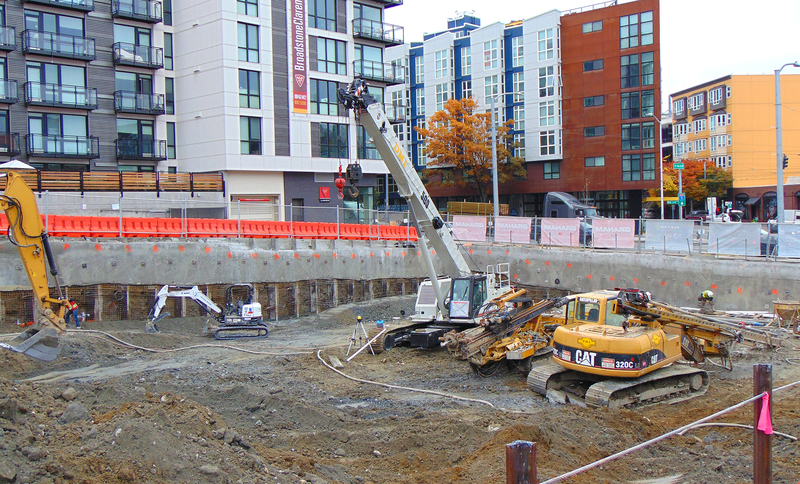 DMI Drilling is your best bet if you want precise structural integrity and excellence for your upcoming project in the Greater Puget Sound.